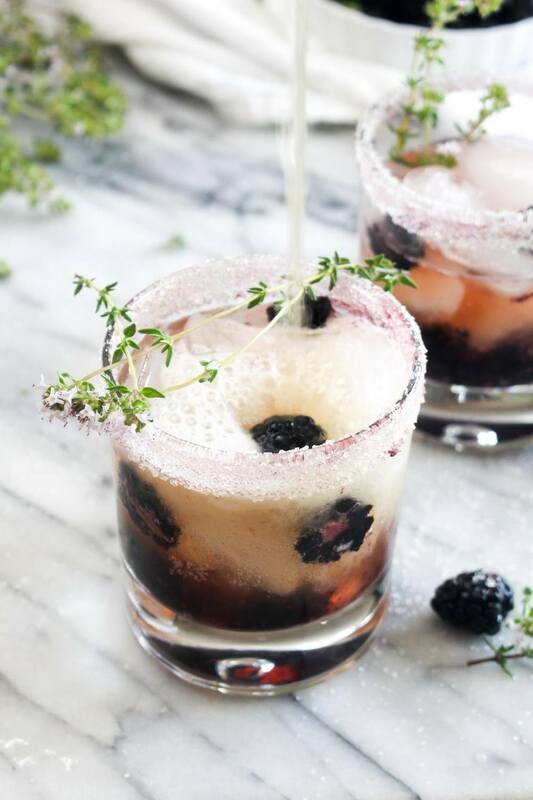 Divide the berries and thyme leaves between two glasses. Using a smasher, or wooden spoon, smash the berries until the form a jam-like consistancy. Fill the glasses to the top with ice. Add in the vodka and top with kombucha. Stir the drink to combine and serve.